"FIR sauna technology is the only proven and most efficacious way of getting rid of stored environmental chemicals. I'm convinced that the far infrared sauna is something everyone should do to restore health" - Sherry Rogers MD, Northeast Center for Environmental Medicine. Author of Tired or Toxic? Detoxify or Die. 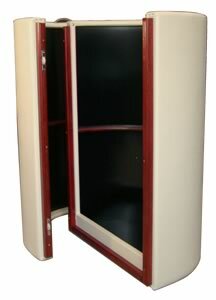 The Sauna Dome represents a new paradigm in the field of sauna therapy. The explosive growth of sauna manufacturers is testimony to the public demand for these wonderful health tools. Now the SAUNA DOME takes Far Infrared saunas to a new level beyond the walk-in models by providing deeper penetration and greater exposure of far infrared rays! MORE EFFECTIVE EXPOSURE TO FAR INFRARED RAYS- The whole interior of the Dome is the heating element. There are no dead spots. 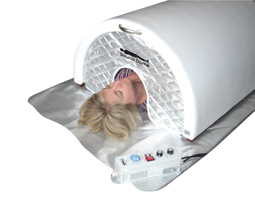 Therefore the far infrared rays directly bath the whole side of the body. The distance to the wall is very close since the size of the dome is small. This means exposure is full and absorption is deep. Since far infrared rays are most concentrated at the point of the heating element and weaken with distance the distance to the heating element becomes much like sitting close or far from a fire, the greater the distance the weaker the effect. The construction of walk in saunas have only a minor amount of their interior walls as the heating element. The location of these heating elements are at various distances from the body. The overall direct exposure and penetration of FIR is considerably better in the SAUNA DOME. LYING DOWN IS THE MOST BENEFICIAL WAY TO SAUNA- Lying down is the most effective and comfortable way to take a sauna. Not only is it more relaxing but there are important physiological reasons why lying down is more therapeutic than sitting. Lying down in the dome promotes distinct cardiovascular and neurological advantages. Lying down relieves the nervous system and cardiovascular system of the extra stress that is required to maintain an erect posture. Gravity places a burden on the system which is why the rest and repair of sleep is naturally lying down. The cardiovascular system is relieved from postural demands in the a lying down position. Under the heat stress which is common in a sauna the regulation of internal body responses toward self healing is maximized with the greatest degree of relaxation. Keeping the head outside and cool while lying down is the optimal way to get the most benefits with the least discomfort. DETOXIFICATION- Increased circulation and improved oxygenation with increased core body temperature from FIR promote improved exchange of nutrients into cells and the discharge of toxins. Observation from Asia support that FIR has a broad range of benefits in a wide variety of health conditions. DEEP RELAXATION- In just minutes the SAUNA DOME will deeply relax the body. 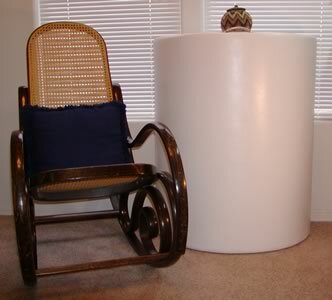 Used as day therapy in the home or in a clinic rapid rest and restoration of energy and release of tension is achieved. IMPROVED CIRCULATION - If there was one single factor that could be considered the greatest general contributor to maintaining, improving or restoring health it would be good circulation. The health of the whole system depends on the movement of blood and energy throughout. By dilating blood vessels and penetrating deeply into he body the SAUNA DOME increases and strengthens circulation without causing any stress on the system. IMMUNE SYSTEM SUPPORT- There is famous saying in medicine dating back thousands of years "give me a good enough fever and there is no disease that I couldn't cure". This wisdom is testimony to the profound healing effects that happen when body temperature rises. Hyperthermia increases the immune response within the body. As core body temperature rises their is corresponding increase in immune chemicals and the self healing abilities of the body become more effective. Today there is a lot of work being done in the area of heat shock proteins and cancer. The SAUNA DOME raises core body temperature and gives the user the gift of ripened harvest of one's own immune systems healing chemicals.